Ferris wheel is one of the most popular and classic amusement rides in the amusement park. There are two kind of drove mode in our factory, mechanical and hydraulic. Some of them could be install air conditioning, some of the gondolas could be customized. 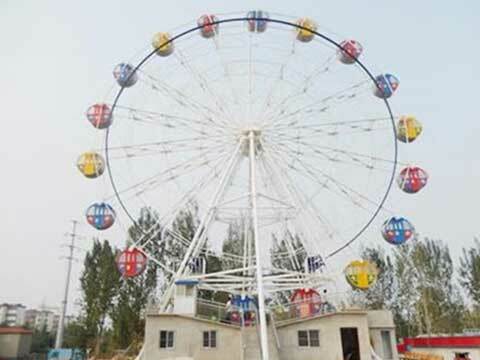 As a professional ferris wheel rides manufacturer, we produce 15 meters, 20 meters, 30 meters, 42 meters, 50 meters and 65 meters ferris wheel. All of these ferris wheel rides can be equipped with colorful LED lights and air conditioning. Ferris wheel rides for sale for Australia is a big wheel of mechanical ride which is created by the amusement rides manufacturer. There are many gondolas which handing on the edge of the wheel. These gondolas could contain 4 or 6 passengers at one time. It is a suitable ride for family fun. When sitting in the gondolas, people will rising slowly along with the wheel for a circle, during the trip, they can also enjoy the beautiful scenery. Each ferris wheel set can be decorated with different themes, colorful LED lights and air conditioning. The only thing you need to do is to contact with our sales manager and tell them your specific requirement. Sizes and capacity of the gondolas of these ferris wheel can be customized in our factory, 5-120 meters ferris wheel is available. Different kinds of ferris wheel rides needs different install means. When we need to install the ferris wheel, we should consider the construction and site condition. Here are 3 tips for install big ferris wheel rides. This mean people will assemble the ferris wheel rides part on the ground and then install the integral equipment by the crane. This installation method is useful for assembling the steel structure and ensure the safety of the assembling when passengers riding on the ferris wheel. A huge crane is needed if you are going to install a large ferris wheel structure. Central rotation installation means when we finished the installation of the support, tower and axle, we will use the tower as the terrace to install other small ferris wheel parts. The central rotation installation mainly used when we install the smaller ferris wheel. Vertical face rotation installation means when you finish the installation process, we will use a temporary steel wheel to install other small parts. This installation methods will be divided into 2 parts, one is to install from one single face, and the other one is to install the ferris wheel from the two faces. Advantages of this methold is we can avoid working high above the ground and lower the risk of workers. This is suitable for large ferris wheels. 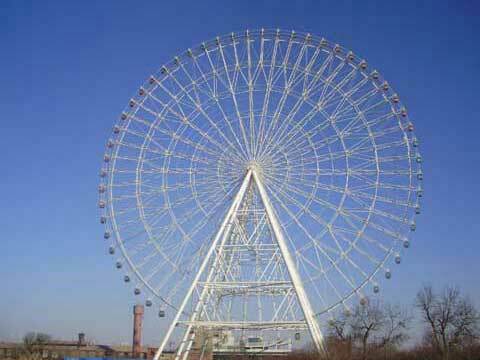 Lay-out design of the ferris wheel can be customized according to your requirement. We have rich exporting experience to Russia which will save you more cost and effort. We will provide technocival parameters of the ferris wheel. We can help you to design you new park. We have experienced designer and CAD drawing. 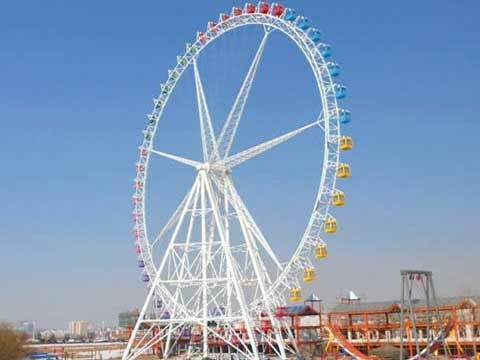 5-120 Meters ferris wheel will be present to you. 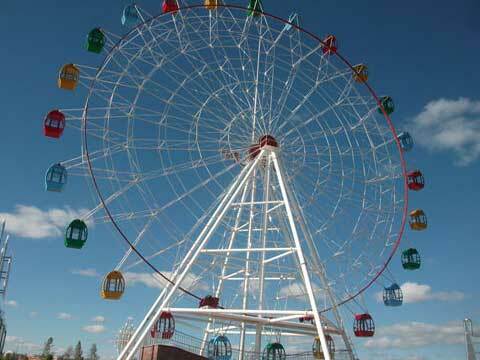 When you need to buy ferris wheel for your business in Russia, you can come to Beston Amusement Equipment. 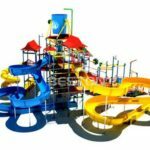 We are a very dynamic amusement rides – ferris wheel rides manufacturer and a professional exporter in the amusement rides manufacturing industry. We has exported many sets of big ferris wheel to all over the world, for example, 50 meter ferris wheel to Mexico, 43 meter ferris wheel to Uzbekistan and ect. We produce large and small ferris wheel rides. When we produce ferris wheel equipment, we use certified quality materials which will assure safety and require low maintenance.